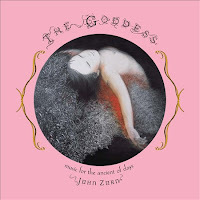 For those of you who like the surf jazz rock loungy kind of music of "The Gift","The Dreamers", and other of the most accessible in the Zorn discography, here is another album you will enjoy. It is a celebration of "Women in Myth, Magick and Ritual throughout the Ages", whatever that means. 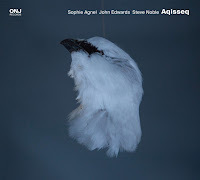 Musically, it is not really adding much the existing catalogue, yet again the music and the playing are excellent. Easy to swallow and digest, but a pleasure to hear. The band is Rob Burger on piano, Trevor Dunn on bass, Carol Emanuel on harp, Ben Perowsky on drums, Kenny Wollesen on vibes, and Mark Ribot on guitar. 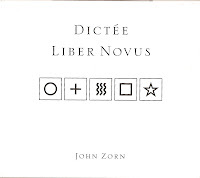 "Dictée" (track 1) and "Liber Novus" (track 2) is musically a lot more interesting. Starting with a weird fog horn call and ambient sounds, it leads into a recitation in French by Sylvie Courvoisier, like a dictation, and even if I abhor text recitation in music, on this album it really fits with the absolutely uncanny things you can hear, changing in line-up texture and mood every so often, from Asian to ambient, to romantic, to pastoral, to avant-garde, it is disorienting, frightening, The whole doesn't sound like one piece but rather as snippets of music integrated into a very coherent whole, over which other sounds are added to give it a sense of unity. 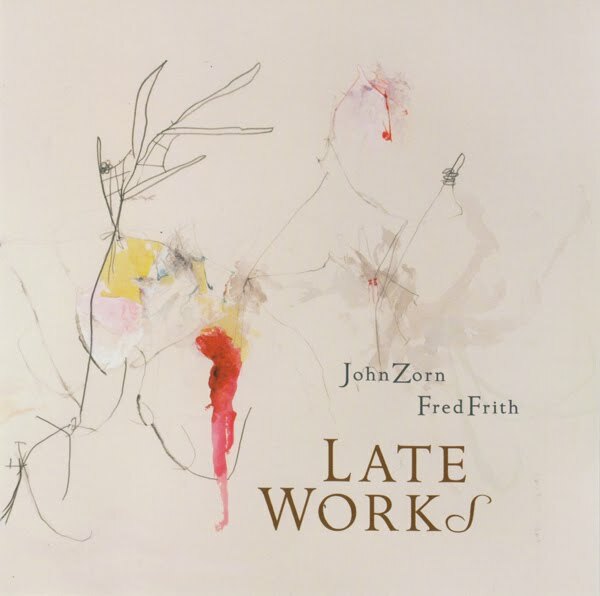 It reflects the ambiguity in the music, which is at moments friendly and welcoming, yet equally foreboding and full of existential angst, a paradox of emotions dear to Zorn. 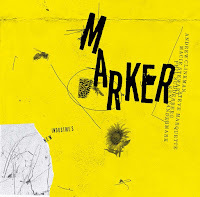 John Medeski on organ, Ned Rothenberg on shakuhachi, bass flute, and clarinet, David Slusser on sound Effects, Kenny Wollesen on vibes, percussion, and "Wollesonics", John Zorn on Foley effects, samples, German narration, Stephen Gosling on piano. 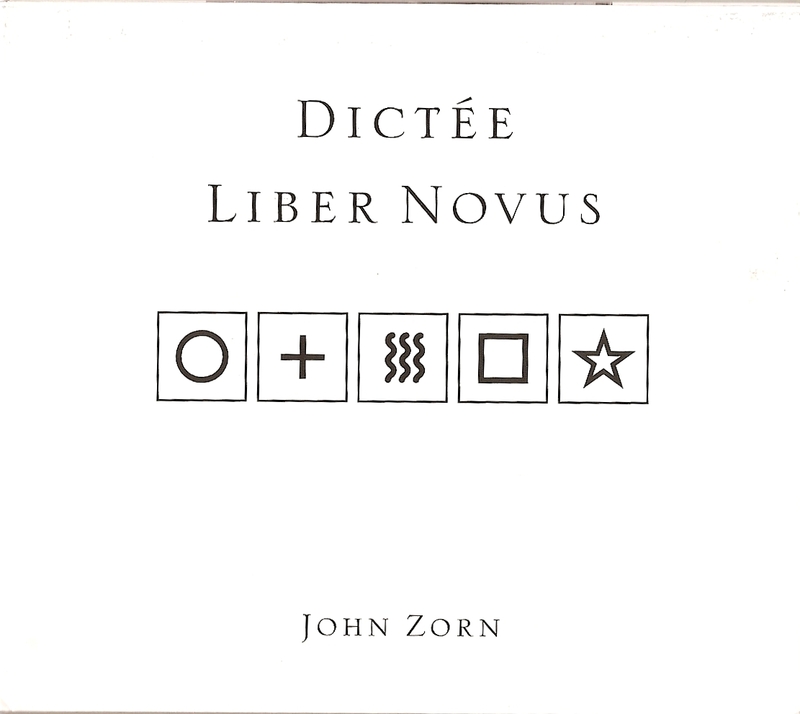 The second track, "Liber Novus", is based on the book by Carl Gustav Jung, with Freud one of the fathers of psycho-analysis. In this book, Jung claims that he encountered figures in his active imagination : "The figures, according to Jung, "brought home to me the crucial insight that there are things in the psyche which I do not produce, but which produce themselves and have their own life". Which is a quite frightening concept too, although also an illuminating one. 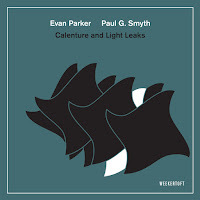 The music is again out of the ordinary, with Medeski's organ as the unifying and predominant instrument, with lots of ambient sounds, varying levels of intensity and calm, and with a whole zoo of animal sounds to cheer you up, and juxtaposed joy and horror, and somehow ending in resignation. 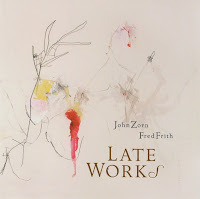 This is the fourth duo collaboration between John Zorn on alto and Fred Frith on electric guitar. Their first album, "The Art Of Memory", was often used by a friend as the ultimate example of non-music. He will not be disappointed to hear that their approach has not changed over the years. 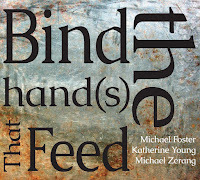 What you get here is beyond words: a long improvisation of two musicians who are willing to do what has not been done before, and this with raw energy, without taking the listener into consideration for one single instant. You can respect them for trying something new, but it's not because it's daring and harsh, that it's good. 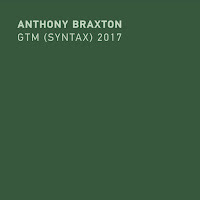 It is not for the faint of heart, although interestingly on two pieces they move into more harmonious sonic environments ("The Fourth Mind" and "Slow Lattice"), and in my opinion these two are absolutely stellar. For the rest of the noise and violence, it is not really my cup of tea. Interesting take on these manifestations of Zorn. The music on the video is very harsh though. Just not my taste but no doubt they have great ability.